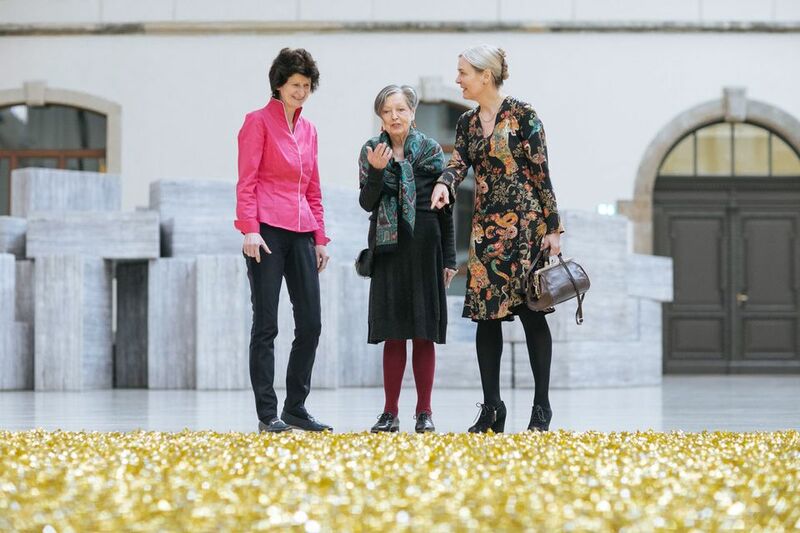 Dresden’s State Art Collections received a gift of 1,200 works by artists including Jean-Michel Basquiat, Tracey Emin, Isa Genzken, Sigmar Polke, Bruce Nauman, Wolfgang Tillmans, Cy Twombly and Andy Warhol from a private collector. Erika and Rolf Hoffmann began collecting in the 1960s in Mönchengladbach, then later in Cologne, discovering artists in the galleries of the Rhineland and at Documenta in Kassel. They focussed on artists who broke rules and challenged conventions. In the 1990s, the couple planned to build an institute for contemporary art designed by the artist Frank Stella and located next to the Zwinger in Dresden, but the plans faced resistance from the government of Saxony. In 1994, they found an empty factory building in central Berlin and renovated it to house their art collection, which they opened for small group tours every Saturday. Since Rolf Hoffmann’s death in 2001, Erika Hoffmann has continued to build and manage the collection. It will now be integrated into the collections of the 15 Dresden museums over the next five years, a statement from the State Art Collections said.